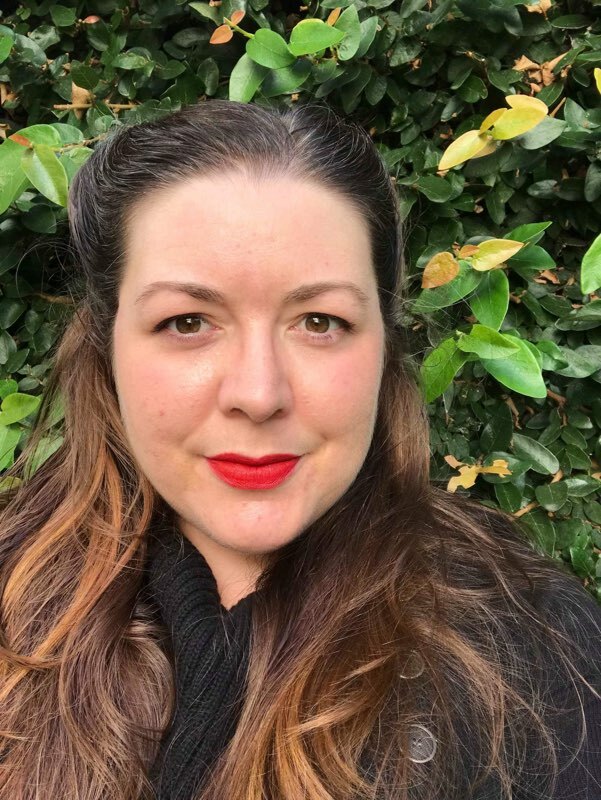 On Saturday I went to the San Francisco #LifeMatters Meetup to see SPL’s President, Kelsey Hazzard, perform some pretty excellent spoken word poetry and to hear the diverse group of speakers Rehumanize International had lined up. There were speeches from women about their experiences with pro-life activism in San Francisco as well as personal stories about how unplanned pregnancy had affected their lives. 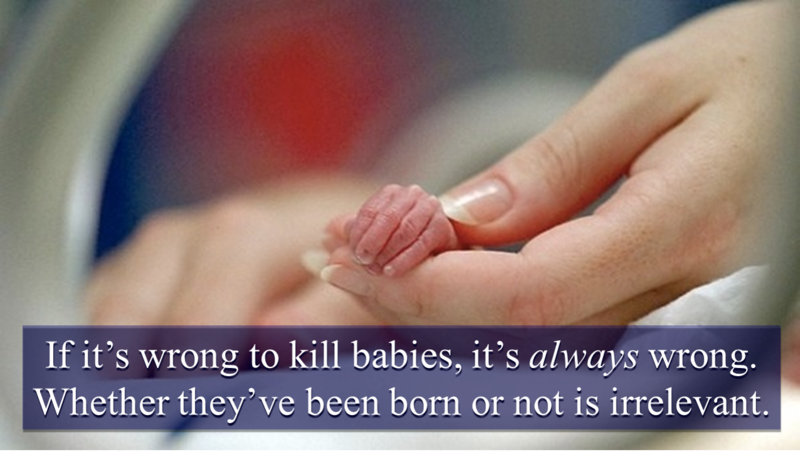 I was particularly compelled by what Pro-Life San Francisco’s Bettina Di Fiore had to say. With her permission, I’m reposting her speech about her experiences here for others to consider. This included the nurse at the Planned Parenthood clinic where she went for a second pregnancy test. “Of course,” the nurse said, “this young woman couldn’t even consider having her baby. Her hopes, dreams, goals, indeed her entire life would be ruined if she carried to term.” According to the nurse, the best thing this young woman could do—the only thing she could do—was terminate her pregnancy. The nurse advised her to “beg, borrow, and steal” the money for an abortion and even told her how to break state law to get one without parental consent. The night before her appointment at the clinic, our young lady stayed up weeping and apologizing to the child she was about to murder. Fast forward about ten years. Our young woman was in college. And although she still had sleepless nights spent crying over what she had done years ago, she was fully invested in the pro-choice narrative. 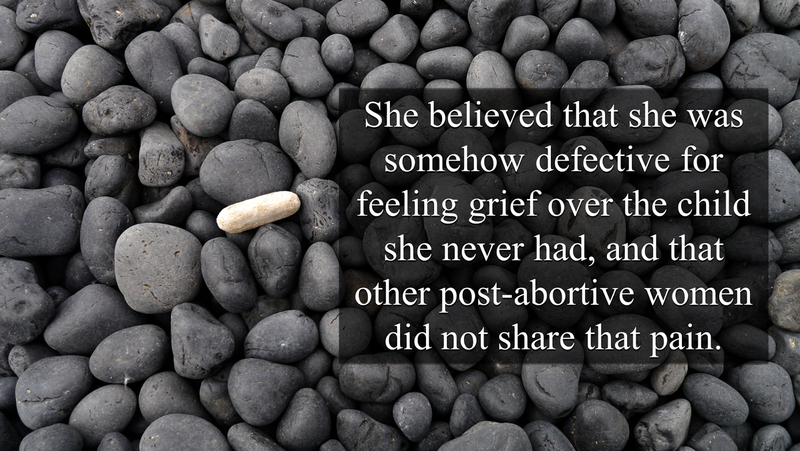 She believed that she was somehow defective for feeling grief over the child she never had, and that other post-abortive women did not share that pain. 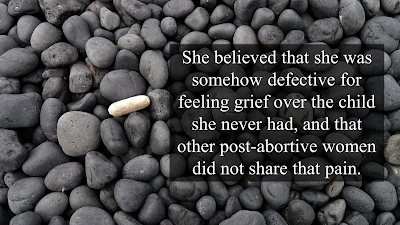 And although in her heart she knew better, she wanted to believe that abortion only involves one person’s body. In 2004, she attended the March for Women’s Lives, the largest pro-choice rally in U.S. history. She carried a sign. She shouted the chants. She took photos for her classmates who were unable to attend. She even gave a presentation about the March for her women’s history class. Fast forward another eight years. One day she heard a news story about a woman who drowned her baby in a public toilet just after giving birth. The commentator noted that if this woman had gone to Planned Parenthood a few weeks earlier, she would’ve gotten off scot-free. But as it was, she was facing first degree murder charges. This caused our young woman to pause. She had to admit that the commentator had a point. Surely a baby is still a baby a few weeks before birth. That raised the question: at what point is it not a baby? Can one really draw a line at any point in prenatal development and state, with certainty, that this undeniably alive, undeniably human thing is baby afterward and not-baby beforehand? She’d had enough science education to know that no such magical transition point existed. She could reach only one conclusion: if it’s wrong to kill babies, it’s always wrong; whether or not they’ve been born is irrelevant. And that is how our militantly pro-choice young lady switched and became pro-life. That young woman is me. And today I am going to march again, this time for unborn lives. All it took to get me here was a single scientifically sound argument, logically constructed, and passionately stated. I am certain there are countless others like me, and it is our mission to reach them. We have science and logic on our side—now let’s go show the world our passion.